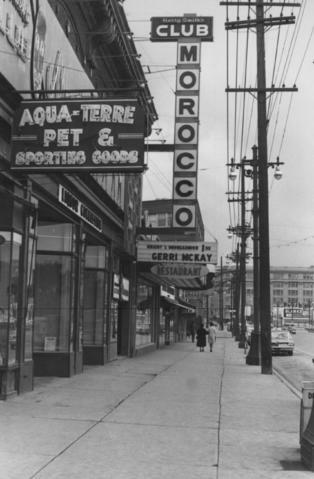 Photograph shows signs for multiple businesses, including Club Morocco and Aqua-Terre Pet & Sporting Goods. Date of photograph is uncertain, [196-? ].